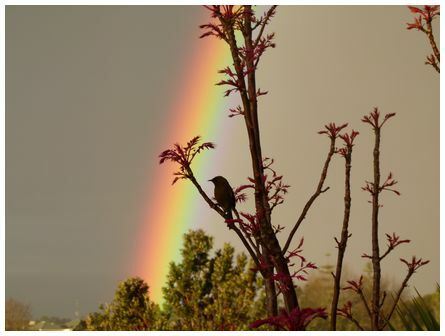 'Bellbird looking for a Pot of Gold. Taken on 23 September 2017 Panasonic FZ100' wrote Paul. 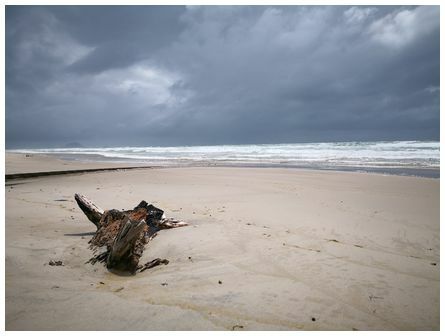 'The Mount under a passing downpour from the cyclone - warm stinging windblown rain! 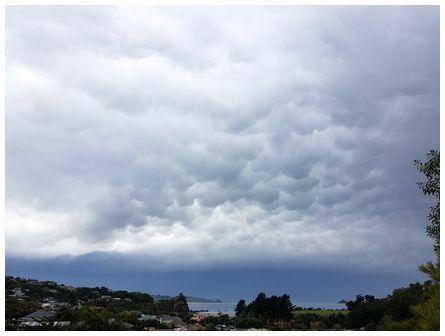 From Papamoa beach at 14:00 on 20 February 2018' wrote Josefa. 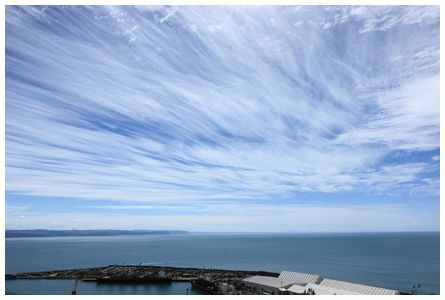 'From top of lookout, Napier at 12:57 on 17 February 2018. A hot day' wrote Robin. 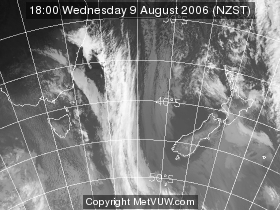 Martin wrote 'mammatus clouds over Brighton, Dunedin. Taken at 11:16 on 17 February 2018 on auto mode with an S7'. 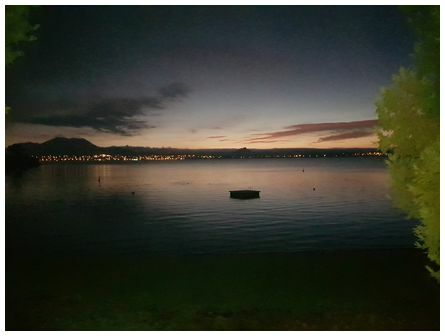 'Lake Taupo looking from Acaica bBay to Three Mile Bay taken 06:00 on 17 February 2018' wrote Ian. 'Hi James, another gorgeous sunset over Kapiti Island looking north from Raumati Beach taken 20:39 on 9 February 2018. 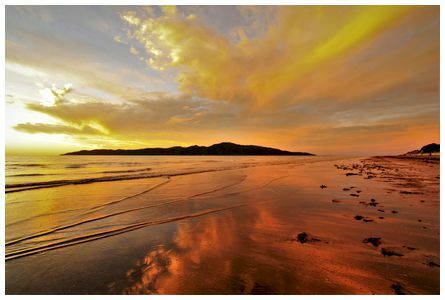 Canon EOS 500D 1/30 sec, f/5.6, 10mm, ISO 100' wrote Bob. 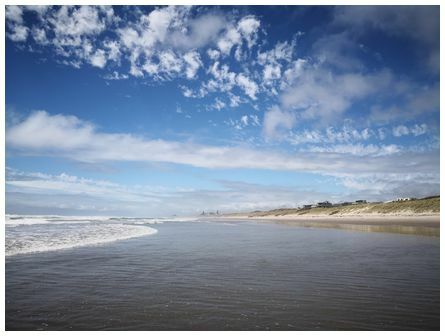 'Escaping all the humidity by swimming in the rough seas at Papamoa. The sun broke through all the mist just before 13:00 14 February 2018' wrote Josefa.